Whether you’re planning on replacing your home's windows or adding brand new ones, it's important to do your research first. 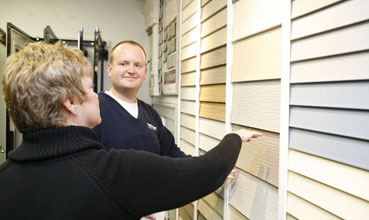 Although many window companies are honest with their customers, many others are not as upfront. Some may actually lure homeowners into purchasing windows and accessories they do not need. Before investing hundreds (perhaps even thousands) of dollars upgrading your home windows, talk to friends and coworkers and get referrals for work that they've had done. In addition, keep the following five tips in mind when considering any window replacement job. 1.) "Free" home window inspections often turn into hard sell presentations. Beware of claims for "free" or "complimentary" inspections of your home windows. A thirty-minute inspection can quickly turn into a three to four hour high-pressure sales pitch. If at any point during the inspection or demonstration you feel uncomfortable, ask the representative to leave your home. Never feel obligated to sign any agreement or write a deposit check. After all, a high-pressure pitch isn't what you requested, and you don't want to wind up signing an agreement out of frustration just to get the representative to leave. More than likely, you'll end up regretting your decision. 2.) A company may claim your windows need to be replaced, even when they can easily be repaired. Think about it: If you drove a functioning but banged-up car into a new or used car lot, the salesmen wouldn't try to convince you to fix your car. He'd probably try to get you to buy one of their models. The same holds true for some window companies. Unfortunately, many uneducated homeowners will take the word of the so-called "experts" and spend thousands of dollars replacing their windows on their advice. Your company should have a great BBB rating and be nationally ranked as a professional remodeler. They should have a local office and showroom, and they should maintain an outstanding reputation in the community. 3.) A company may try to talk you out of replacing your single-paned windows with double-paned windows. Adding storm windows to your existing windows may seem cost effective, but usually it is not a wise investment over the long haul. 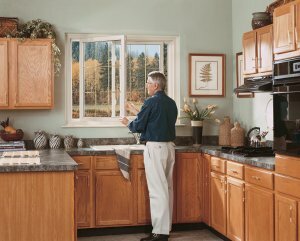 Many companies entice homeowners to purchase storm windows, convincing them they'll save money in energy costs. You may find, after installing the salesman's "Super hi-energy efficient outside mount insulated window system", that you experience massive ice build-up on your windows. They may still rattle and are harder to clean. 4.) A company may try to pressure you into signing a contract without revealing there may be hidden finance charges. Before signing any contract for window replacement, read the agreement carefully. Sometimes during hard-sell in-home presentations, a window company may try to convince you to sign a contract on the spot. Some companies specifically target the elderly. If an older friend or relative expresses interest in replacing their home windows, make sure you or someone you trust is present during any inspection or presentation. Convince your friend or relative to take as much time as they need to review the contract and make their decision. Read the contract carefully to make sure the agreement does not include exorbitant interest rates or hidden finance charges. Use a company whose contracts are concise and to the point, and designed for everyone to understand in layman's language and terms. 5.) You may save some money by installing replacement windows yourself. 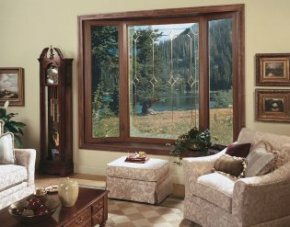 For homeowners without a great deal of remodeling experience, installing replacement windows may sound daunting. But with a little research and by following instructions to the letter, installing replacement windows yourself can save you a few hundred dollars. There are many helpful books on the subject, and you can purchase a window-replacement DVD, from which you'll get the step-by-step visuals you'll need to do a quality job. Keep in mind: these over the counter aids are like purchasing generic aspirin at your local pharmacy. Aspirin is for the average headache or minor aches and pains and your doctor is the professional you contact for anything more severe. Windows are not all the same. You may need the services of a professional for difficult metal removals, specialized jambs, or changing opening sizes. Before doing any work on your home, always check with your town or municipality to determine whether you need a permit. Although most local governments only require homeowners to obtain a permit if they are constructing new windows, regulations do vary. It's always a good idea to check first before beginning any remodeling project. Don't forget: just as you call your doctor at times, it is best to hire a professional. A seemingly small mistake or error may be very costly to repair. Please enter the number 48581 in the box provided below.